Objectives: Angiotensin converting enzyme (ACE) is an important enzyme involved in the physiopathology of renal, cardiovascular and ovarian systems. One of these ACE related diseases is polycystic ovary syndrome (PCOS). 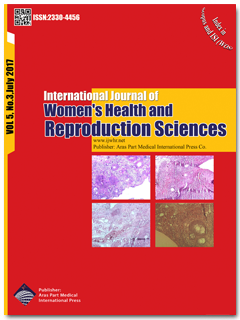 Materials and Methods: We intend to update the only meta-analysis written by Jia et al in 2013 on the association of ACE gene polymorphism and risk of PCOS. The reason of our attempt to update this meta-analysis was that they found no significant relation in their meta-analysis. For this aim, we searched in databases for relevant documents. Results: We found 8 relevant papers, 6 of which had been covered by Jia et al meta-analysis. In order to perform this meta-analysis, we used comprehensive meta-analysis software. The analysis was done through P value and sample size of each study based on fixed-effect model. Analyses were performed in 5 different groups of alleles and genotypes. Among these 5 analyses, 4 of them were statistically significant. Hereby, we concluded that DD genotype of ACE is a risk factor for PCOS (P value = 0.013; odds ratio [OR] = 1.195), while DI is the protecting genotype (P = 0.009; OR = 0.819). Conclusion: Hence, it is suggested to use a very low dose of captopril as an ACE inhibitor in the PCOS patients having DD genotype in future as a clinical trial, just as a scientific model. Further investigation on ovary ACE system is needed.